Henry Cavill has officially signed on as the lead in Netflix's The Witcher TV series. The project was first announced in May of 2017 and there haven't been too many official updates on the status of the series over the course of the last year or so. 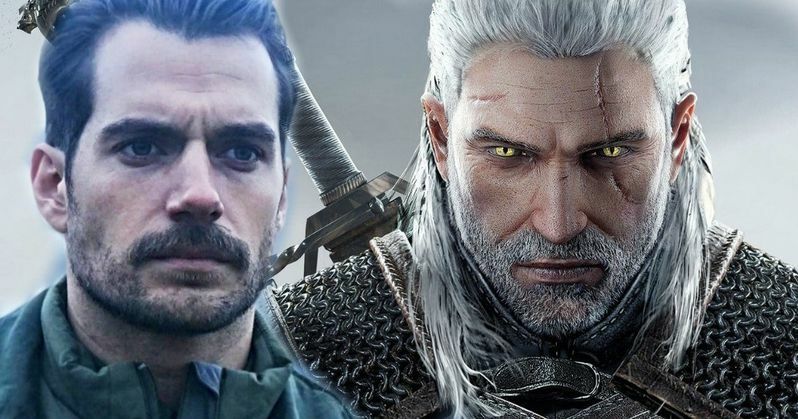 But now we have one heck of an update that has made this an even more high-profile project than it was pegged to be previously, with Cavill on board to play Geralt of Rivia. Many people know The Witcher as a series of very popular and beloved video games. But the franchise actually got its start as a series of novels from author Andrzej Sapkowski dating back to the 1980s when he was publishing short stories set within that world. The most recent novel, Season of Storms, was published in 2013. Netflix has also released a logline for their upcoming series adaptation, which reads as follows. This will mark the first role on a TV series for Henry Cavill since 2010 when he appeared on The Tudors. In the years since, he's gone on to star in movies like Man from U.N.C.L.E. and this summer's Mission: Impossible - Fallout, in addition to being our current big screen version of Superman, with Cavill most recently appearing as the Man of Steel in last year's Justice League. Interestingly enough, the actor expressed interest in playing Geralt of Rivia last month and apparently, putting that out in the universe did some good. "Absolutely. Yeah, that would be an amazing role. The books are amazing. The books are really, really good... The books I started reading, and they are well worth a read." Lauren Schmidt Hissrich serves as executive producer and showrunner on The Witcher, who previously worked with Netflix on Daredevil and The Defenders. In addition, Alik Sakharov, Alex Garcia Lopez (Luke Cage), and Charlotte Brandstrom (Outlander) will serve as the directors for the show's first season, which will consist of eight episodes. Sakharov, who has worked on House of Cards and Game of Thrones, will direct four episodes in total, including the debut episode. Lopez and Brandstrom will direct two each. At the present time, no other cast members have been announced for the series. However, it sounds like the creative team is firmly in place, which means we should be hearing more in terms of casting and a production timetable in the near future. Netflix streaming has yet to set a premiere date for The Witcher, but it wouldn't be too surprising to see it drop in late 2019. We'll be sure to keep you up to date as more detail on the project are made available.